Do Employees Leave a Company or a Boss? There are various schools of thought on what drives employee retention. Some expert sources like Gallup place an emphasis on the importance of the manager’s role in engaging, motivating and retaining employees. Other sources suggest that employees rarely leave a job solely because of the boss since there are many other contributing factors such as a compelling strategy, company culture and meaningful work. Either way, businesses of all sizes are increasingly concerned about employee retention and realizing that high engagement is critical to reducing turnover. The best employees will leave if they’re not engaged, while the lower performers often stay. When this cycle continues, businesses struggle to achieve results and retain customers. According to the 2015 ADP Midsized Business Owners Study the level of concern about employee engagement spiked 25 percent in 2015 after remaining flat since 2012, with two of five midsized employers expressing high levels of concern. So how can companies more effectively engage their top talent? 1. Nurture a strong workplace culture. 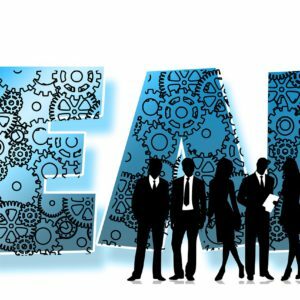 Organizations that create a culture defined by meaningful work, organizational fit and strong leadership often outperform their peers and outpace competitors in attracting and retaining top talent. Key components of a strong workplace culture include diversity and inclusion, a common purpose and a sense of community. As stewards of company culture, HR leaders should strive to create – and actively promote – an inclusive work environment that champions collaboration and a connection to the local community. Offering volunteer opportunities to give back to the community and employee recognition programs can help employees develop a sense of companionship leading to stronger feelings of engagement. 2. Empower employees to grow their careers. Uncertain career paths are a common pitfall that can result in low employee engagement. Companies that keep career development top-of-mind by offering employees clear career paths, challenging assignments, mentoring programs and training to nurture their professional skills are more likely to retain top performers. Ensure employees understand the diverse career opportunities available to them company-wide and the steps they can take to grow within the organization. And, whenever possible, offer flexibility in how employees chart their individual career paths, such as with job-rotation programs and job shadowing. Career growth comes from creating opportunities for employees to learn new skills and experiences. It doesn’t need to be offering opportunities to ‘climb the corporate ladder’. The ladder has been replaced with a lattice demonstrating the importance of lateral moves in order to grow professionally. 3. Communicate, communicate, communicate. Employees need to hear from their leaders. An absence of communication leads to a lack of trust in leadership. Communication is critical to ensure that everyone has a clear understanding of the corporate strategy and how their work contributes to successful achievement of the company’s goals. Having clarity around their company’s strategy and vision becomes the motivation for employees to make the discretionary effort that defines engagement. Businesses that create frequent opportunities for leaders to communicate with employees – via email, Town Hall meetings, one-on-one interactions or social media help inspire trust. Ongoing communication needs to honest, real-time, and authentic so that employees understand the bigger picture and feel comfortable sharing innovative ideas to help themselves and their employers grow and thrive. Because employee engagement is strategically linked to retention, HR leaders need to take an integrated approach. This includes fostering a collaborative work environment with trusted leadership, work with a purpose, and diverse growth opportunities. Investing in employee engagement ultimately delivers benefits far beyond the bottom line with increased productivity, reduced turnover and long-term retention of highly skilled staff who directly contribute to achieving business goals. About the Author: Emma Phillips has more than 20 years of experience leading the design and execution of strategic HR initiatives. As vice president of human resources for ADP’s Major Account Services business unit, Emma and her team focus on attracting, developing and retaining top talent, succession management, performance management, leadership development, change management and associate engagement. 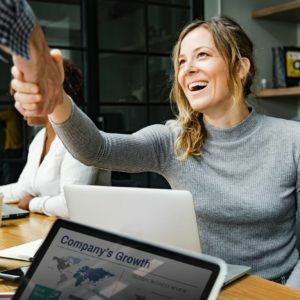 Giving employees a chance to grow their careers allows them to be more passionate about the work they’re doing and their future with the company. Thanks for sharing this.